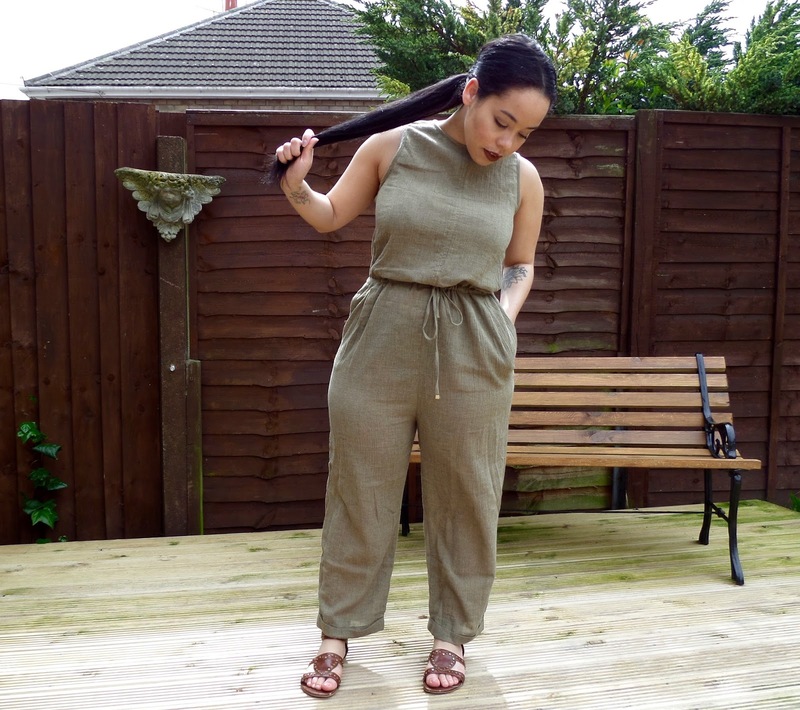 Jumpsuit: Zara. 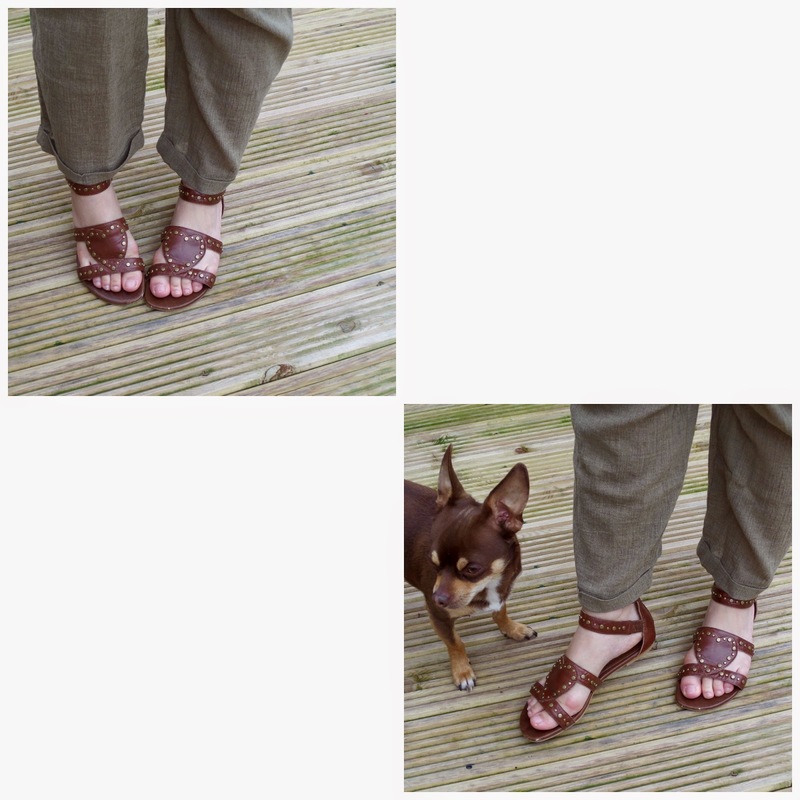 Sandals: ASOS (Old). 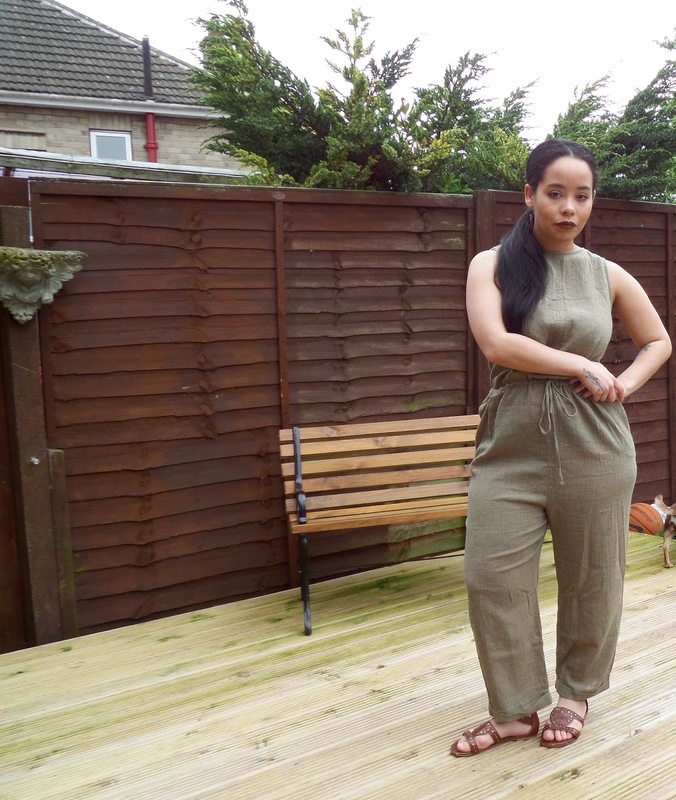 Now, there's a colour that has been calling out to me this season and that colour is *drum roll please*.. khaki. I bet you weren't expecting that, what with it being the title of this post! 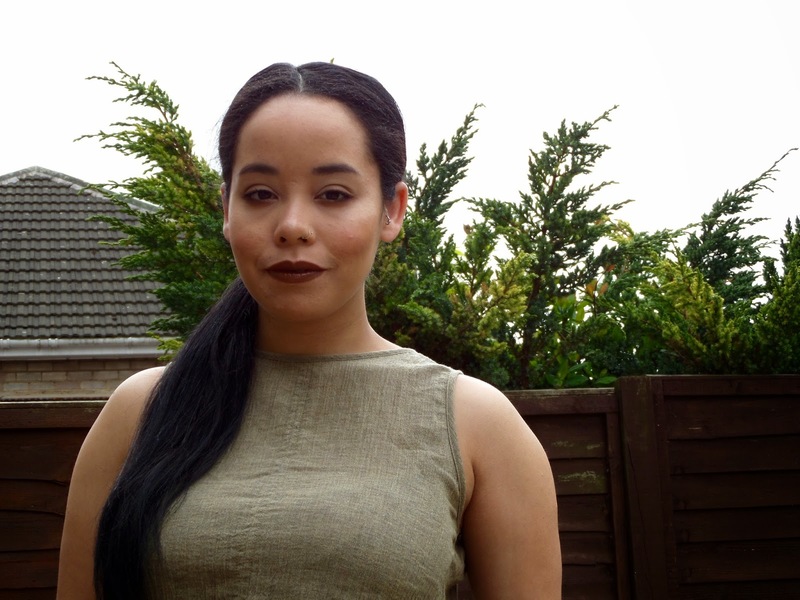 It's a gorgeous muted colour, which pairs so well with a wide spectrum of colours and looks delightful on everyone. I've also seen jumpsuits and playsuits doing the rounds, but I never feel like they'll suit me. That's until I spotted this loose fitting, backless number. It's a lovely lightweight piece, that can be dressed down in the day, or throw on a pair of heels and dance away. I also feel like being a curvier girl, it still provides me with shape, but doesn't cling to much! Looking good, that's a great colour on you and I love the missing back! Wow! You are looking gorgeous! 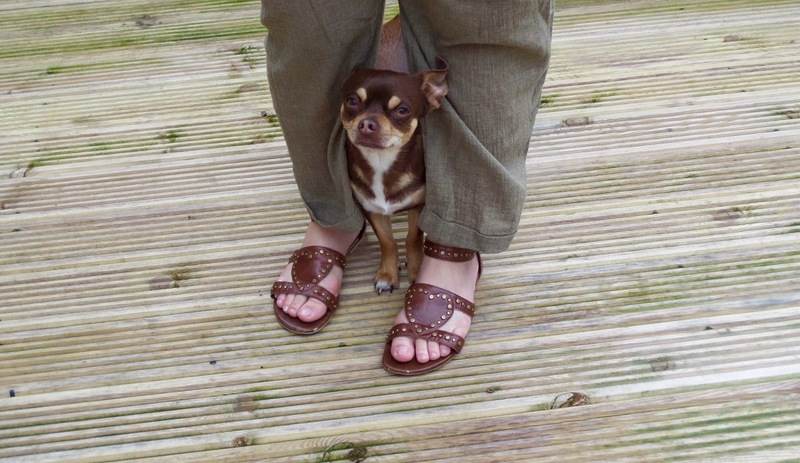 I love the colour on you and your shoes/sandals are lovely! ah your dog is so adorbale! 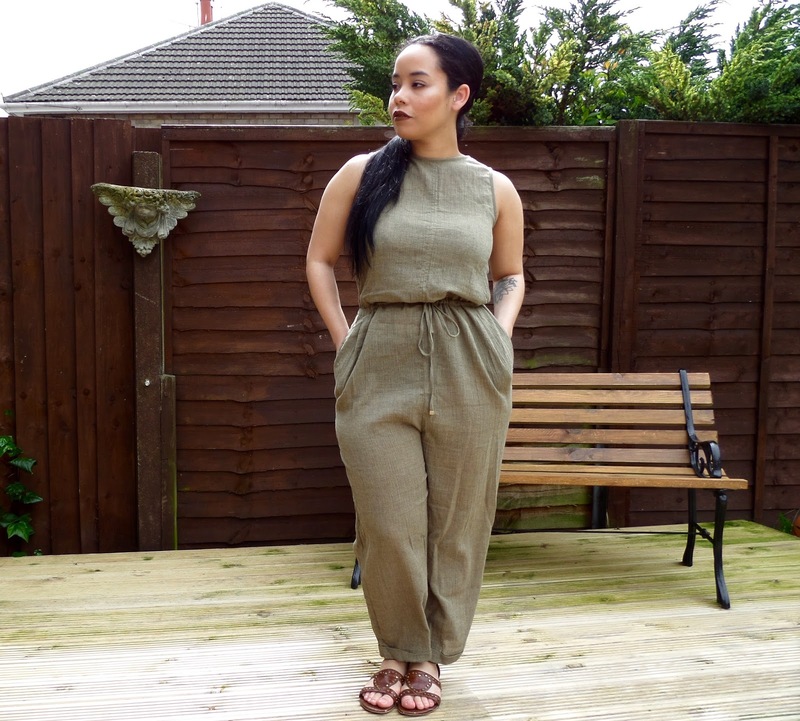 loving the jumpsuit and the lipstick looks so lovely on you! This look is so great! 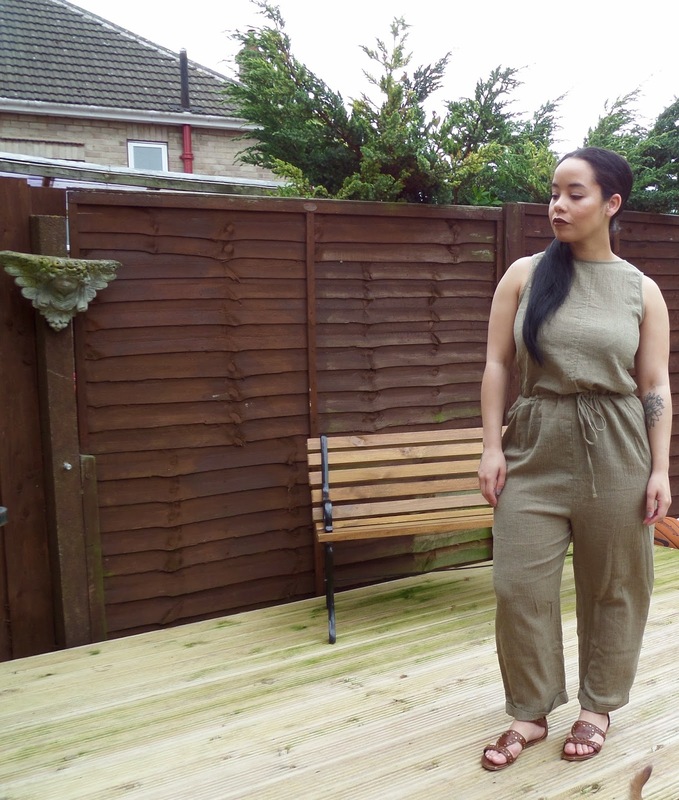 I love khaki anything! 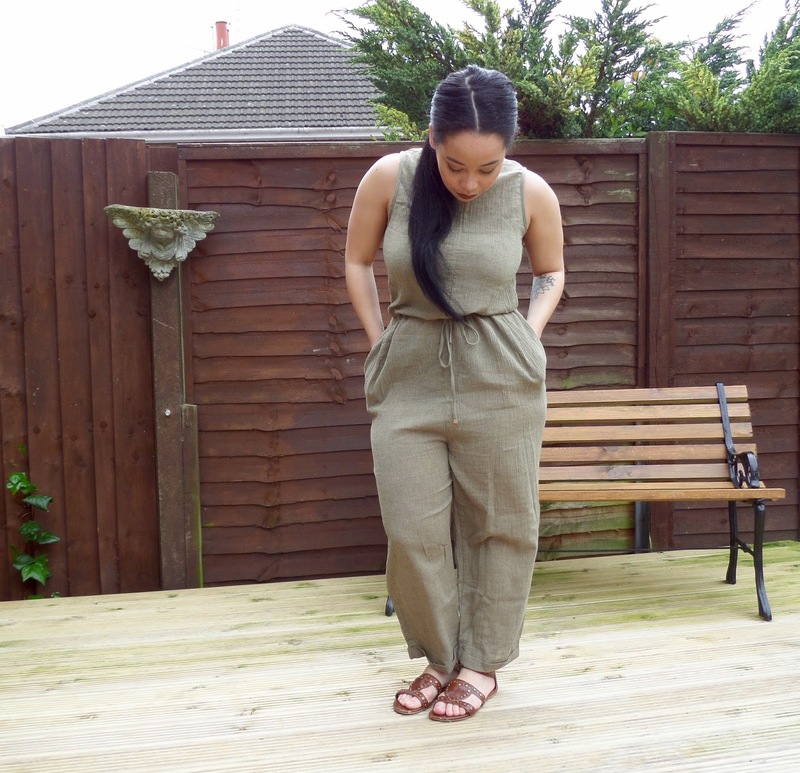 I love khaki, I think it is such s versatile colour. It looks lovely in the winter then in the summer it also looks so nice with a pop of colour. 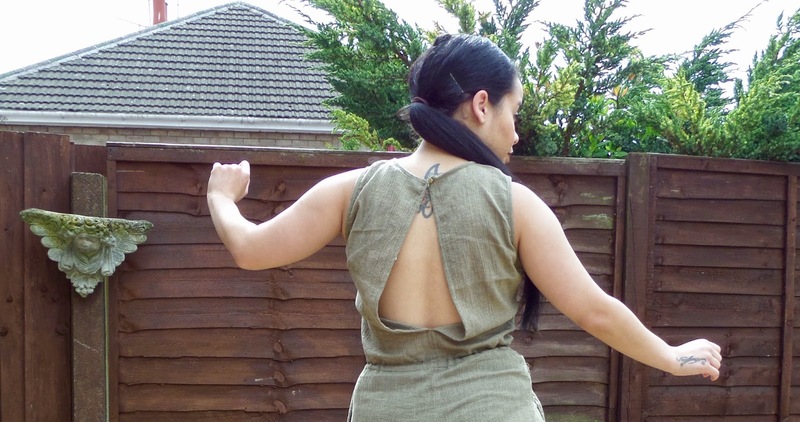 I wasn't expecting the open back - perfect for summer! Those sandals are too cute too! 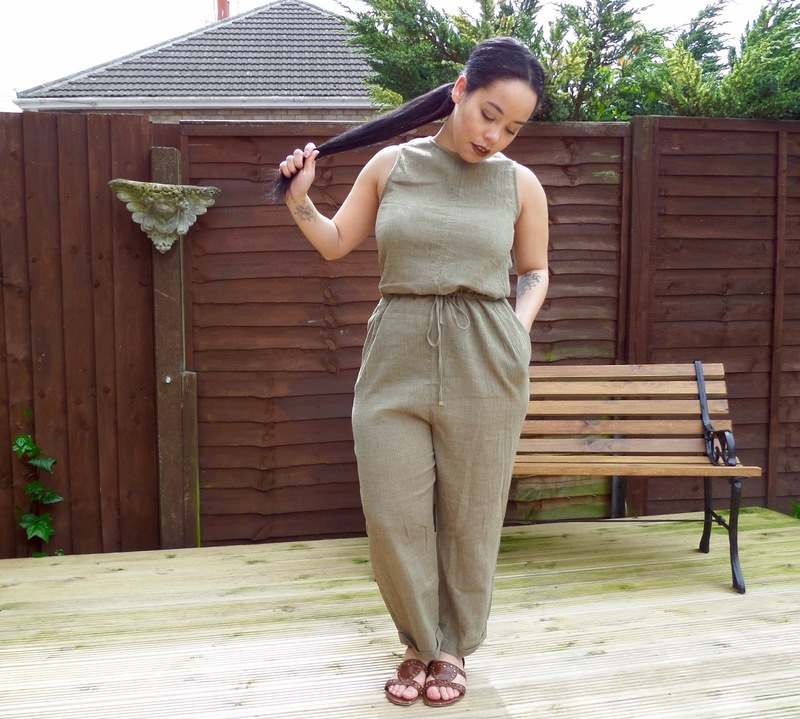 Love, love, love this jumpsuit on you! You look so FIERCE!!! Thank you for stopping by my blog this past week!